The ‘backchannel’ is a term coined by Victor Yngve, Professor of Linguistics (1970) to acknowledge subtle and informal responses from a person actively listening to someone else speaking. This term has since been adapted to fit various other contexts. An example of this would be the conversations taking place between the audience during a presentation or lecture. You may have come across a ‘hashtag’ being used by attendees at a conference to discuss and share their thoughts through social media. This helps to disseminate ideas and extend conversation to other conference attendees, who may otherwise not interact with each other due to the sheer volume of people at an event, and colleagues (not in attendance) who are following the conversations online. Over the past few years, both intentionally and unintentionally, online backchannels have found their place in classrooms and lecture theatres. There are many different uses for backchannel communication and often a mix of different approaches will be used or develop organically during a lesson. Here are a few examples for how you may wish to use it. Collaborative note-making. If students are contributing notes collectively then it means that they can individually concentrate more on the lecture and less on their own set of notes. Reading an explanation from a non-expert written in their own words can often make information more accessible to learners who have struggled to understand a point in a lecture. Discussions. Ask students to discuss questions or topics from a lecture and then summarise their conversations on the backchannel. This can be useful for engaging less confident students or for splitting larger classrooms into small group discussions and providing a way to feedback to the rest of the class and tutor. Sharing resources. A backchannel does not have to be limited to notes and conversations, it could be used to share student-created or curated online articles, images, multimedia, project files and more. Entry and Exit tickets. A backchannel can be used at the start or end of a lecture to provide an opportunity for students to ask questions or share an opinion. This can inform the tutor about what students have learnt, what they have struggled with or would like to know more about. Outside engagement. 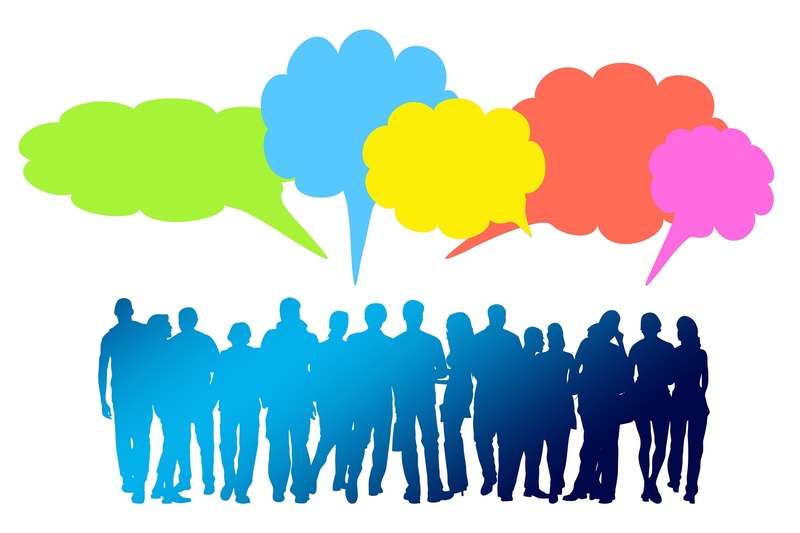 Online discussions do not have to be confined to those in the classroom, when combined with social media they can become a platform for students or tutors to invite comments from peers, experts in other disciplines, professionals or the wider public. Ground rules and etiquette to set the tone and create a safe and welcoming environment for sharing and discussion. What to use the backchannel for: e.g. taking notes on lecture content, providing feedback on the lecture, asking questions, debating ideas with other students. When to use the backchannel during your lesson, e.g. at the end of the lecture, as of when they feel necessary, at specific times to contribute to discussion. How to use it afterwards: e.g. revision-notes, continued discussion. Who can contribute: e.g. one person per group, anyone in the class, public forum to generate opinion from experts or the wider public. There are many tools available for facilitating backchannels, here are a few recommendations which are either supported by Technology Enhanced Learning or free to use. Canvas Chat. The new University of Sussex online study platform includes a chat facility which can be used within module sites. This is a basic chat which allows for text-based discussions between all students and tutors on a module. The advantage of using this tool is that it is simple to use, no signup is required and names will automatically be identified in the chat. See Canvas guides for more information. Twitter is a widely used social media platform which uses the notion of a hashtag to create conversations that anyone can view or contribute to, they know the hashtag. Note, that a twitter account is required to contribute. See The Teachers Guide to Twitter for more information. Padlet is an online virtual noticeboard which can be used to easily share different types of content and can be either closed to a group or publicly available. The University of Sussex recently subscribed to an institutional account, please see our recent blogpost or contact tel@sussex.ac.uk for help setting up your account or for ideas for using Padlet. Google Slides, the online presentation software. includes a Q&A tool which enables the audience to send questions to the presenter without disturbing the flow of the presentation. Although less elegant than the other options, it is a quick and easy solution to collect audience questions. See Talk with your audience – not at them – with slides Q&A for more information. Please contact tel@sussex.ac.uk for more specific advice on any of the topics mentioned in this post and support with integrating backchannel communication into your teaching practice. Yngve, Victor (1970) “On getting a word in edgewise,” Papers from the Sixth Regional Meeting [of the] Chicago Linguistic Society, page 568.